The 350,000sf warehousing/office space along with a 35,000sf conference center will be the perfect addition to their ever growing campus. Onward and upward, Fort Wayne! Fort Wayne is on the way up! 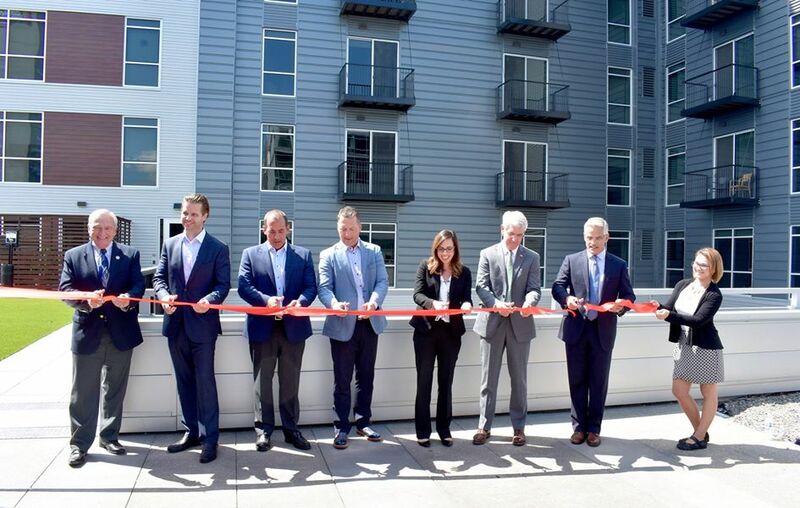 🙌 We are so excited to be able to celebrate the ribbon cutting and share Skyline Tower with our home city on a gorgeous afternoon. “As for the City of Fort Wayne and Northeastern Indiana, the best years are yet to come!” – Eric Doden, CEO of Greater Fort Wayne Inc. 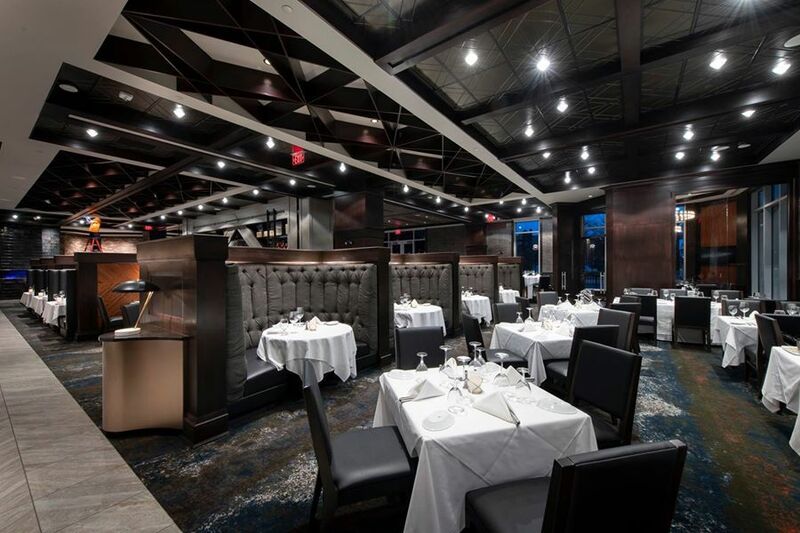 The details of Ruth’s Chris Steak House are one of the main reasons why the ambiance is so show-stopping. Did you know that all of those beautiful wood details in the ceiling, shelving, and walls were hand created by our carpenters? I mean, wow! 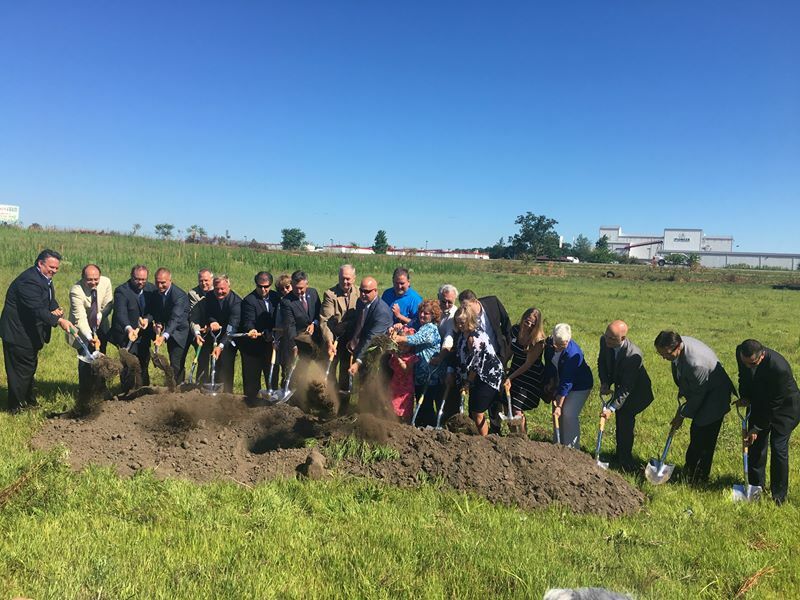 This morning we had the pleasure of being a part of the groundbreaking ceremony for the 27,000 square foot Dr. Susan Bardwell Aquatics Center in Plymouth, Indiana. This state of the art facility will include 11 competitive swim lanes, 2 diving areas and a 500 seat capacity for spectators as well as locker rooms, meeting rooms, and concessions among other amenities. This project is set to open in the summer of 2019. Congratulations Marshall county! Fort Wayne, are you ready for this?! 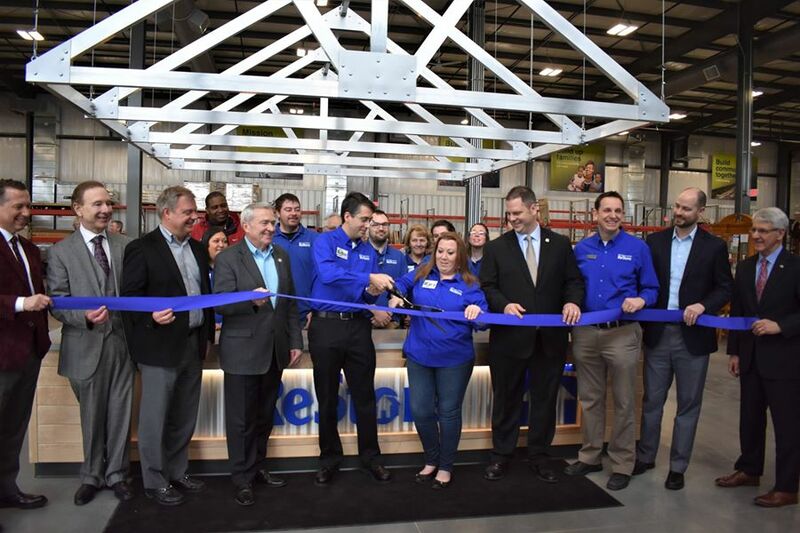 The Fort Wayne Habitat for Humanity ReStore has officially opened its doors! This morning we had the pleasure of participating in the ribbon cutting and dedication ceremony for their new location on Lima Road. The new 26,000 square foot facility is twice the size of their previous location on Wells Street. We are so proud to be part of this project to not only serve the community itself, but also the families in need of affordable housing.